… And we’re still here! What a great find today, so thanks Desertrat and Jonerz for sharing this recently posted video from back when David was all of 13 (i.e. The Voice before The Voice!) – check around the 10 minute mark. I hope the tours sell out across the board. 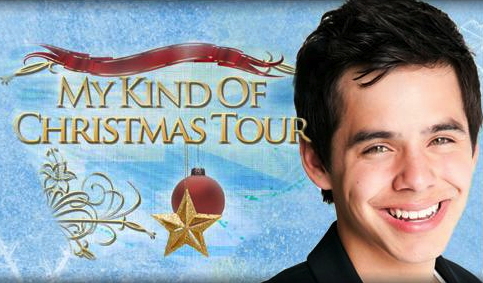 Please note the additional tour dates (I do hope he gives the South a chance). Mark your calendars! Tickets go on sale this Friday, Sept. 30! 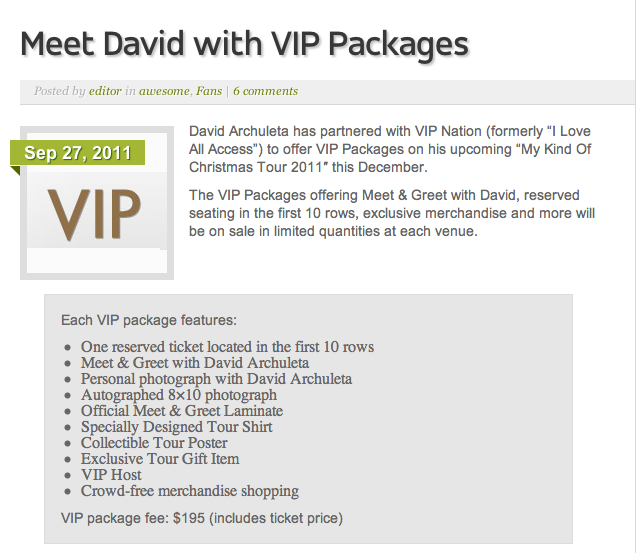 For VIP packages at each venue, please see VIP Nation’s David Archuleta Page. First, thank you, Joymus, for sharing Angelica’s story on The Voice (Read Here). It confirmed everything I was thinking about what exactly was “holding David back.” But, unlike the event coordinator in the story, I don’t feel sorry for David. I’m just angry. Y’all, I can’t. I just can’t. And I had better not say anymore.